At the turn of the twelfth century into the thirteenth, at the court of the King Laksmanasena of Bengal, Sanskrit poetry showed profound and sudden changes as a new social scope enlarged and enriched high literature. Courtly and pastoral, rural and urban, cosmopolitan nd vernacular confronted each other, resulting in a commingling of high and low styles. A literary salon in what is now Bangladesh, of the eastern extreme of the nexus of regional courtly cultures that defined the age, seems to have implicitly reformulated its entire literary system in the context of the imminent breakdown of the old courtly world, as Turkish power expanded and redefined the landscape. 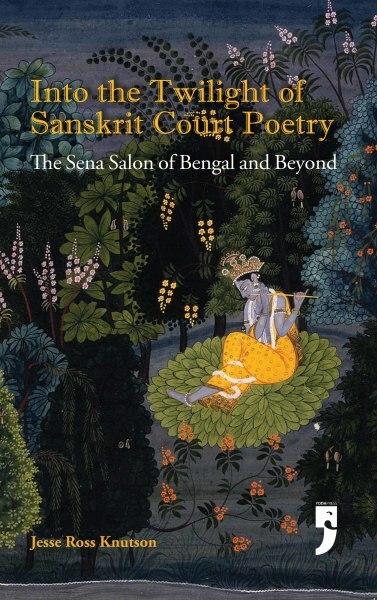 Through close reading of a little-known corpus of texts from eastern India and Bangladesh, Jesse Ross Knutson demonstrates how a local and rural sensibility came to infuse the cosmopolitan language of Sanskrit, creating a regional literary idion founded on a cosmopolitan-local dialectic that would define the emergence of the Bengali language and its literary traditions.